A new home for the Australian National Botanic Gardens specimen collection of tropical plants, and an attraction in its own right, the Ian Potter Conservatory also stands as a model of design for the Anthropocene and its challenge of climate change. 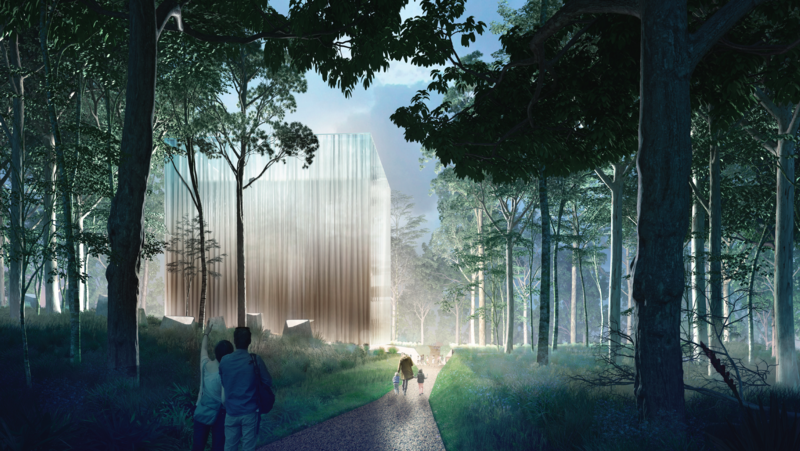 Working in close collaboration with architects CHROFI and landscape architects McGregor Coxall, Atelier Ten helped shape the “Hovering Cube” design. The cube, which takes inspiration from the ubiquitous Australian Esky cooler, makes the majority of the conservatory enclosure a highly insulated box that protects the warm, humid tropical conditions within from the cold dry winters of Canberra. Just enough of the north facing walls and roof are glazed to admit ample daylight for the plants within. Atelier Ten is providing the daylight analysis that has set the project design criteria with the Botanic Gardens and that has shaped the resulting Conservatory design. This high performance building envelope relies mostly on substantial insulation and passive solar gains to maintain warm tropical conditions within; the limited cooling needed in summer is provided by the irrigation misting systems. Simple, robust building services provide supplemental space conditioning as required.